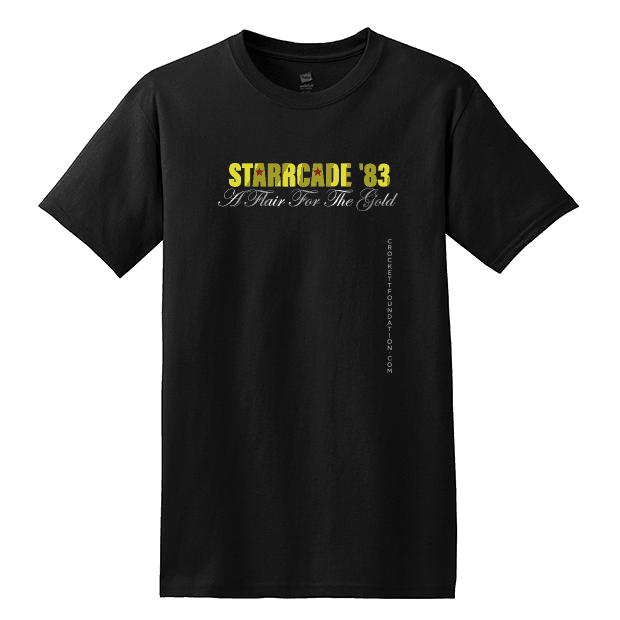 This throwback shirt celebrates the inaugural Starrcade event by Jim Crockett Promotions and the National Wrestling Alliance. Show your love for old school wrestling at it's finest with a little Flair for the Gold of your own! If you see these glasses, watch your asses! Taking it back to old-school when wrestling was wrestling and political correctness might land you in a Figure Four! Authentic, match-used mat pieces by the JCP era legends. Old School Rules! Our newest t-shirt, celebrates the golden age of wrestling with our throwback to WCW on TBS on Saturdays at 6:05. Any true wrestling fan knows the TBS/6:05 reference and can now proudly show off their old school rules pride in this stylish new shirt from the Crockett Foundation. Crockett Family Pic - Autographed by - Frances Crockett Ringley, Jim Crockett Jr., David Crockett and Jack Crockett. A must have for any true wrestling fan. Show off your pride for the glory days of wrestling with our Crockett Foundation emblem. *a % of each sale goes towards helping a veteran in need. This black cap is perfect for showing off your pride in the Crockett Foundation and Wrestling alike. This stylish Black Distressed cap is great for showing off your Crockett Foundation pride. This stylish Grey/Nickle Distressed cap is great for showing off your Crockett Foundation pride. Keep your drink cold and showoff your Crockett Foundation pride at the same time! Never go anywhere again without showing off your love of the game and Crockett Foundation pride! This Navy/Orange two-tone cap with a grey underbill is styled after the Charlotte O's baseball caps of old. This Light Steel Grey shirt is decorated with the new Crockett Foundation Logo on the front and back so you can proudly display your support for the cause.